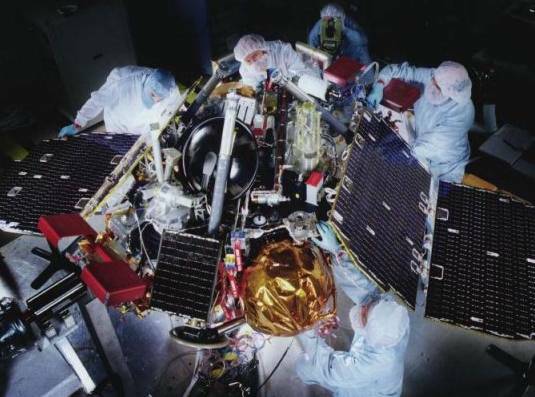 Opis: These technicians are working on the solar-paneled Mars Polar Lander - yet another robotic spacecraft scheduled to invade the red planet. 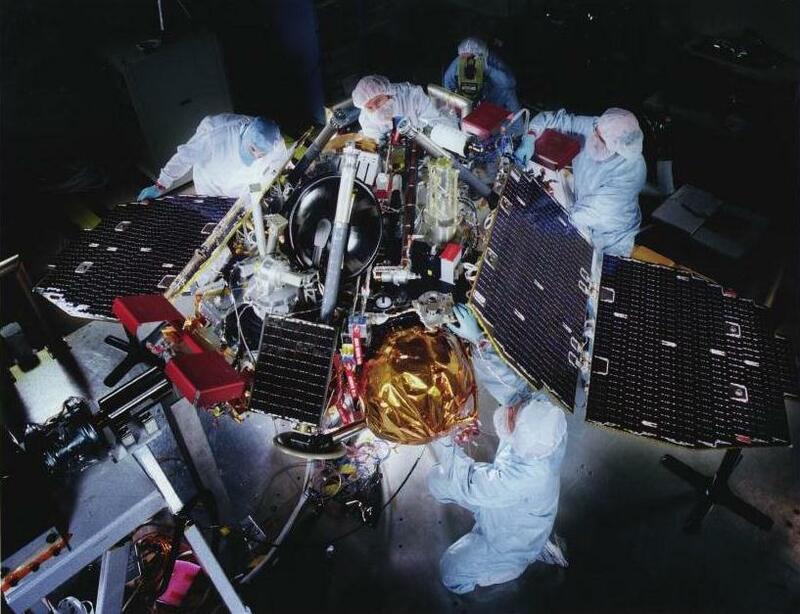 Mars Polar Lander is part of a series of missions focusing on a search for evidence of past or present life. Successfully launched atop a Delta II rocket on January 3rd, it should be the first to make a soft landing near Mars' South Pole. Its arrival is planned for December, springtime for the Martian Southern Hemisphere. Riding along are two separate microprobes intended to penetrate up to 2 meters beneath the soil in an attempt to directly determine if subsurface water ice is present. Mars Polar Lander will also carry another first to Mars ... a microphone.